Never again in the reserves: you're the gaffer now! Together with Gerd Müller, the most successful German forward in history, a top-class sport & management simulation was created that covers every possible theme relating to football. As Manager and team boss you have command of your own football club. Put your perfect team together, control the lineup, tactics, finances and much more. With the real-time application you can intervene live in the events of the game and lead your team to victory! The perfect start to the game and the incredible depth of detail make Gerd Müller's Perfect Goal the best on-line football manager for beginners and pros. 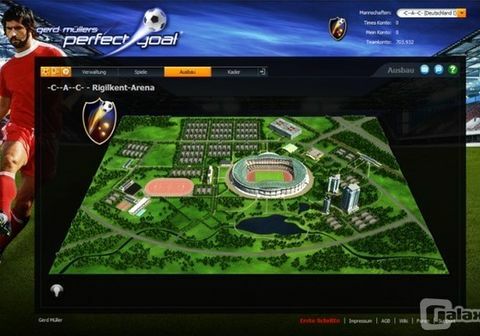 Perfect Goal was quite rightly given 3 Gold awards by browsergames.de in the categories of: The best game, for the best graphics and the best gameplay! The new and improved version of Gerd Müller's Perfect Goal - now available exclusively on playnik.com. All aspects of football management are covered. Manage up to 5 clubs, look after the composition and training of the squad, enlarge stadiums and peripherals, administer personnel and finances, organise matches and tournaments and lead your team to victory with tactics in the live-ticker. A perfect start to the game! Instant enjoyment of the game due to the new tutorial, extensive game aids, numerous manager licences and more than 20 objects that you can deploy to the advantage of your team. During the matches there are countless interaction possibilities available. Intervene directly in the events on the pitch. Through your own moves, energy and input plus fan support, you can influence the game in real time and lead your team to victory. Manage your club from the word go with free building selection, shorter construction times, building loops and the new, strategic and economic impact from buildings. Greater sense of achievement and N!kscore-support! Earn manager points and compare your high score and the match results with those of your rivals. Really ambitious managers attempt up to a dozen challenges. Be the first player to activate all the N!kscore-achievements. Perfect Goal Community: More interaction and entertainment! Get the best overview and make contact with friend and foe. Various league tables, a chat and messaging system, the forum, the item shop, an extensive Wiki and support with ticketing systems are available around the clock. And that is not all! Look forward to regular game updates and feature enhancements from Gerd Müller's Perfect Goal. 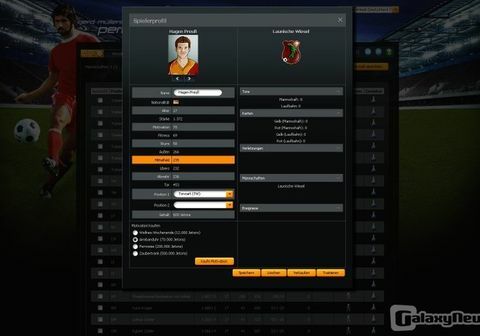 There will be new cups and additional intervention options in the on-going game via the interactive live-ticker.